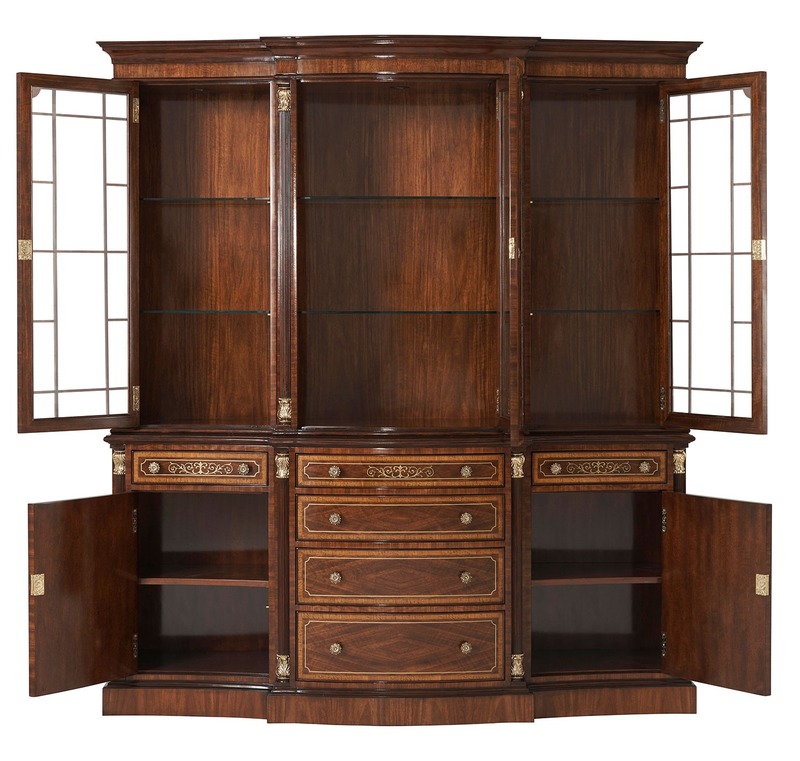 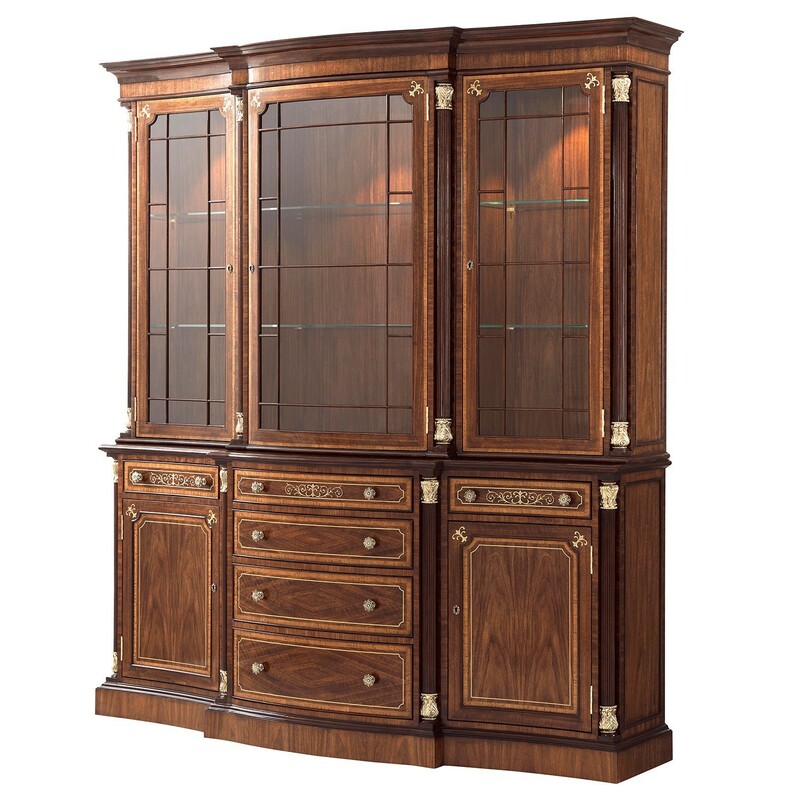 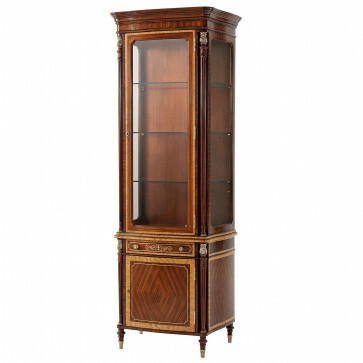 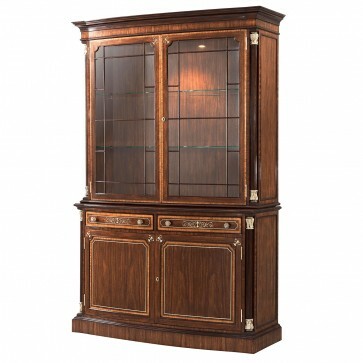 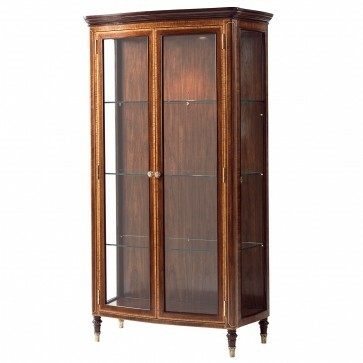 Display cabinet constructed in mahogany with highly-figured Etimoe veneer, a tropical hardwood from Central Africa. 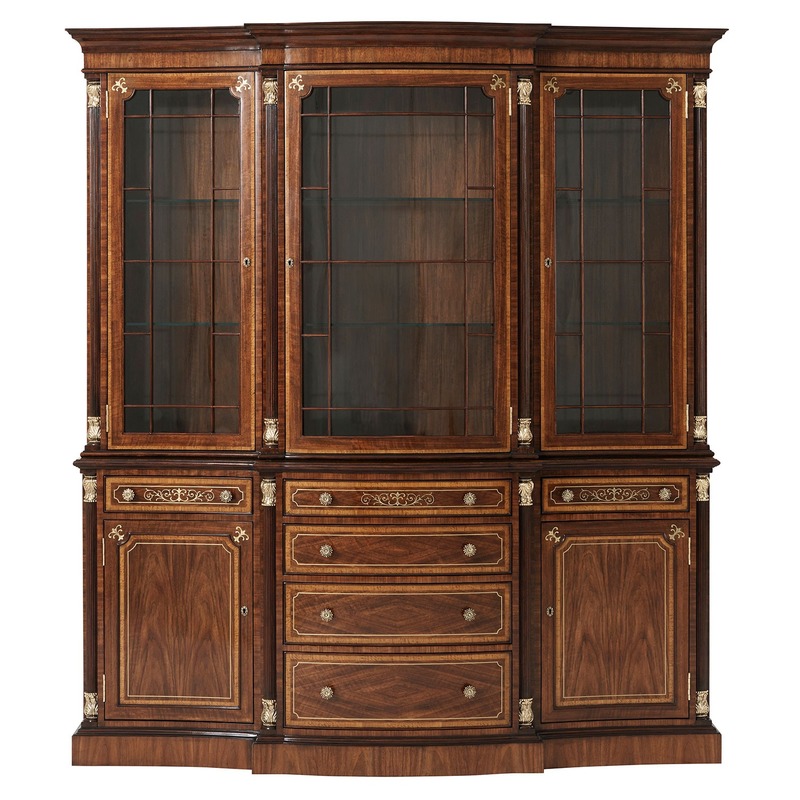 The glazed upper section encloses a lit interior of two adjustable glass shelves while the bottom compartment comprises six drawers and two spacious lower cabinets. 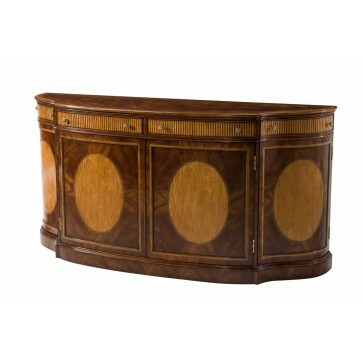 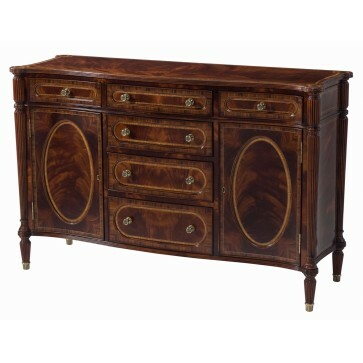 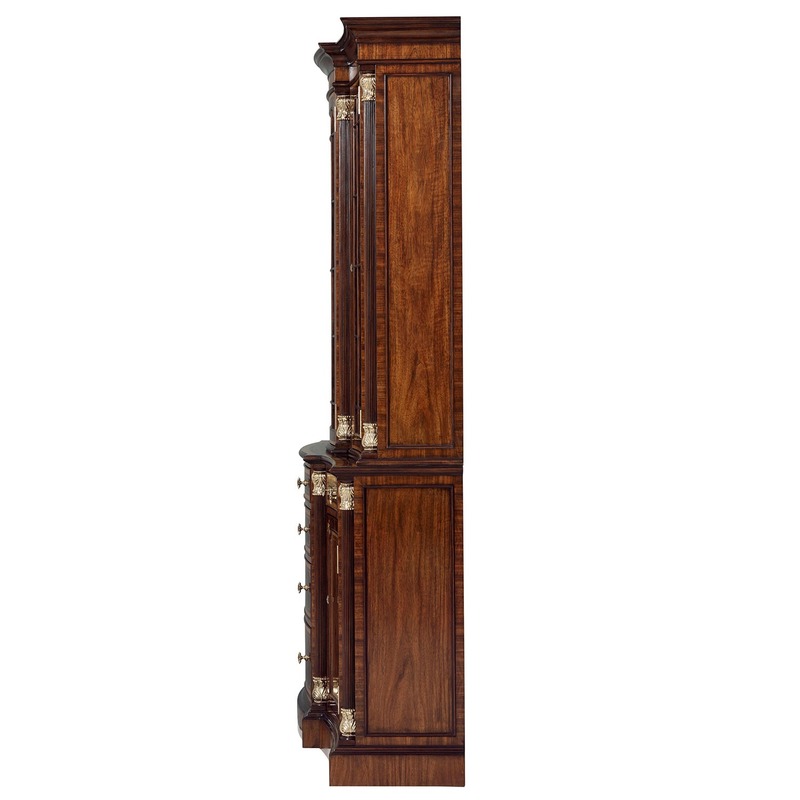 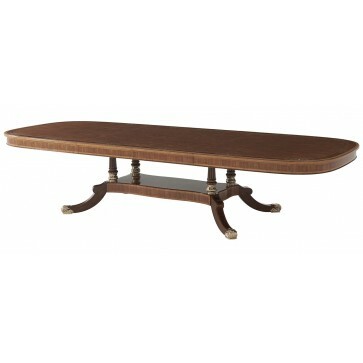 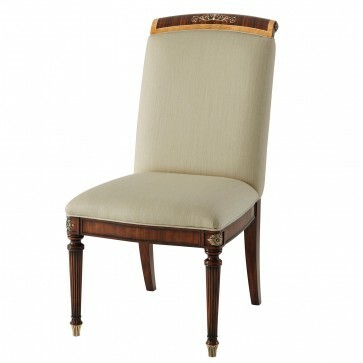 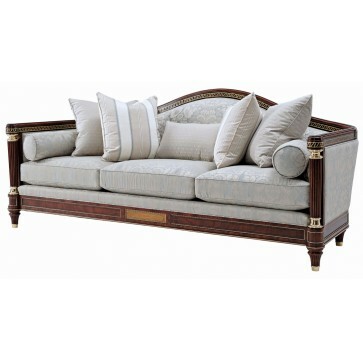 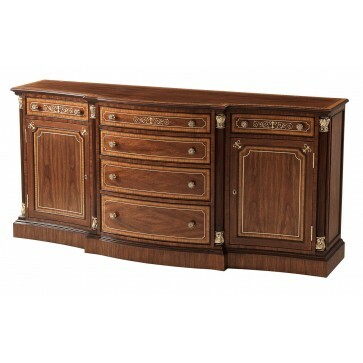 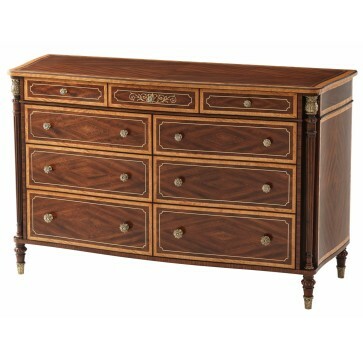 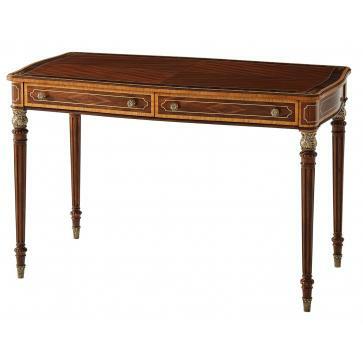 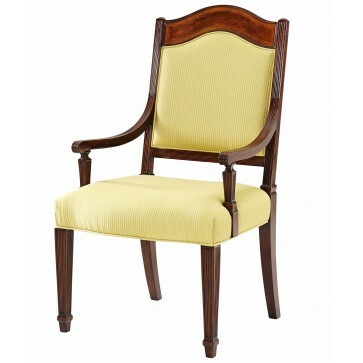 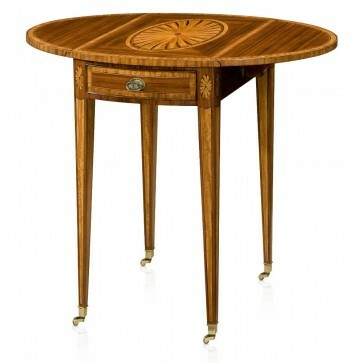 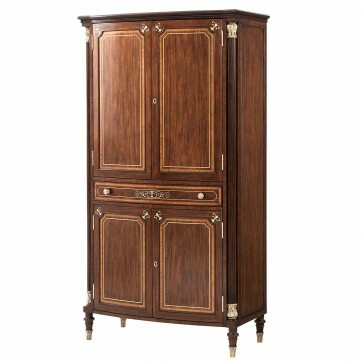 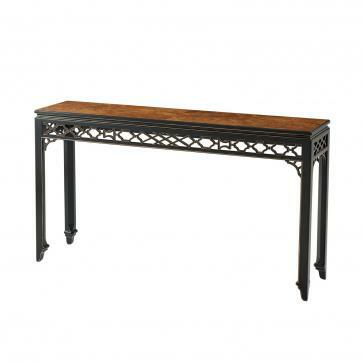 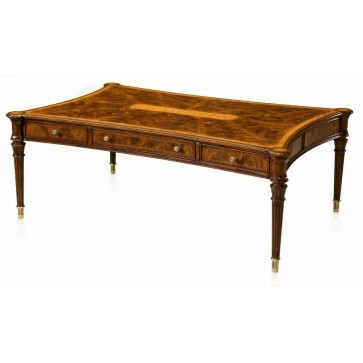 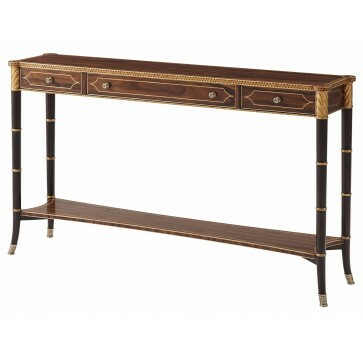 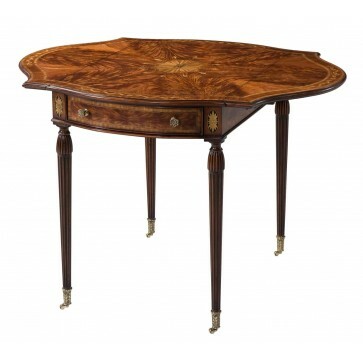 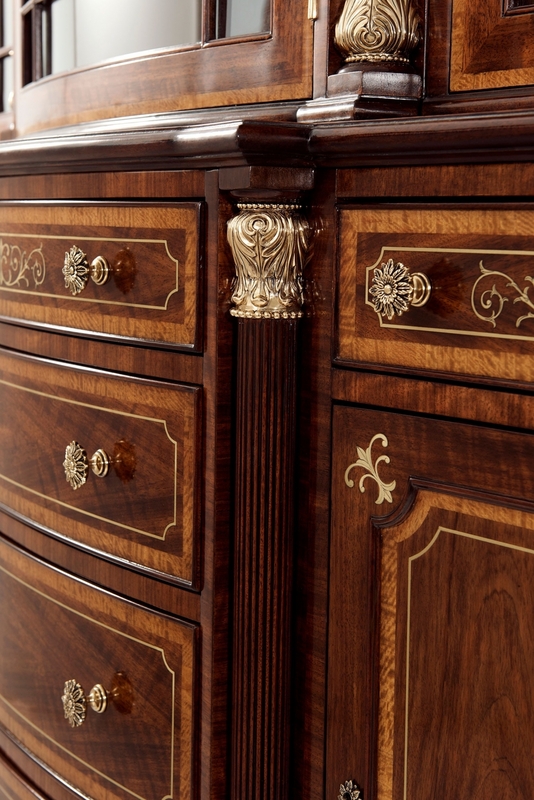 This piece features Movingue veneer crossbanding and comes complete with elegant brass accents.